Working as a pharmacist for a busy hospital demands an accurate, reliable and efficient method of obtaining the latest prescription and medicines information. 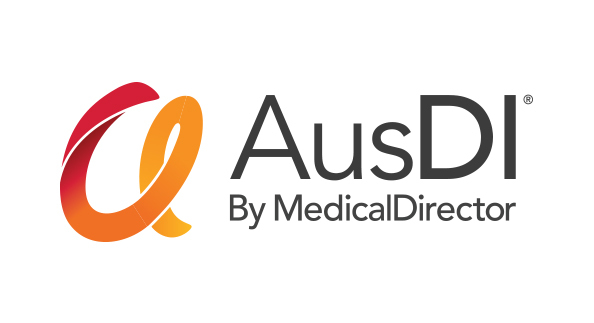 AusDI by MedicalDirector gives Western Health’s Medical Information Pharmacist, Grace Wong, access to a comprehensive and up-to-date database of independent drug monographs, interactions and safety monographs, company product information, consumer medicines information documents, product summaries and product images - all in one single resource. Western Health manages three acute public hospitals in Victoria: Footscray Hospital, Sunshine Hospital and the Williamstown Hospital, as well as Sunbury Day Hospital and a Transition Care Program in Williamstown. A wide range of other community-based services are also managed by Western Health, along with a large drug and alcohol service. Western Health’s Medical Information Pharmacist, Grace Wong, is responsible for assisting staff, including clinicians with their medication and drug interaction enquiries and literature searching for medicines. With a lot of enquiries every day, Wong said the challenge is to access information quickly and accurately in an easy-to-use, visual format compared to traditional paper-based methods. "Online resources are a lot quicker and more convenient to search than traditional hardcopy books or a library of print-based databases. I also need a resource that is simple and easy to understand, with a user-friendly layout." In order to offer timely and accurate advice, Wong turns to AusDI as part of her suite of resources. "One of the reasons I turn to AusDI is that it is so simple to use, and looking up product information versus patient information is very easy," Wong said. "I also really like the layout and format. For instance, when I want to search for something, the search results pop-up in a visual way, which makes it very quick for me to understand." One feature Wong finds particularly useful is AusDI’s product identifier, where she finds the search functionality far more effective than traditional databases. "We get a lot of medicines enquiries, and in the past, before we had electronic databases, you would have to put markings in a book, which was time consuming," she explained. "But with AusDI, it makes searching for the right medication so much faster as it narrows your search down really well. The ability to actually see a picture of the drug itself is also really helpful." Another feature Wong finds unique to AusDI is the referential content, where she can access independent drug monographs, product information and consumer medicines information. "I don’t see other resources having drug monographs or differentiating between PI and CMI. I also like the product summaries, which are really clear." With drug safety and dosing playing an integral role in hospital care, Wong highlights the fact that AusDI makes it easy to have up-to-date and reliable medicines information on hand. "All the information regarding safety and drug interactions is particularly important for patients such as the elderly, pregnant, breastfeeding, patients with liver problems – and it’s all available through AusDI," she added. Wong believes Western Health has certainly taken a big leap forward since going digital. With AusDI, reliability and accessibility of up-to-date information have been the key reasons why she would continue to use it and recommend it to her colleagues. "I recommend AusDI because it is so easy to use, you can access the information you need quickly and it’s well laid out by way of visuals and colour-coding," she said. "It can be integrated into the intranet, I can even access it remotely, which is great if you’re on call. Plus it’s reliable and responds very quickly. Importantly, I have the confidence in the information, because I know it is updated regularly and can see the updated amendment dates." Search a comprehensive range of databases to retrieve medicines information quickly and easily, with user-friendly search results and visual formats. up-to-date medicines and drug information in order to provide accurate and timely drug safety, interactions and dosing advice. As a digital database, AusDI is accessible anywhere. Perfect for remote and on-call pharmaceutical needs.